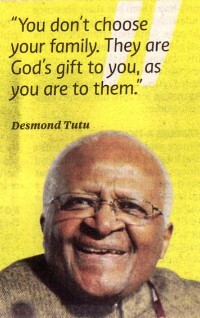 Desmond Mpilo Tutu is a South African religious leader, theologian and Nobel Peace Prize winner. Here are a few things he has said about being human. All of our humanity is dependent upon recognizing the humanity in others.